"The decision to add a new network to your social strategy is never easy — each one takes time and resources to maintain. According to the makers of this infographic, Pinterest is a good one to add to the list. With a high concentration of viral content (80 percent of pins are repins) and referral traffic that’s outpacing Twitter and Google+, the social curation site is already a proven traffic generator. 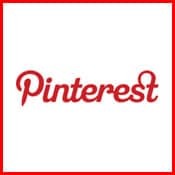 The amount of traffic generated by Pinterest grew by 116 percent between January and August 2012. Domo and CEO.com assembled this handy guide to Pinterest for CEOs. It’s got statistics, best practices, and success stories all in one glance." Click here for more infographics if you just can’t get enough like us here at AdvantEdge!